Associate Professor in Children’s Nursing, School of Health, University of Northampton. 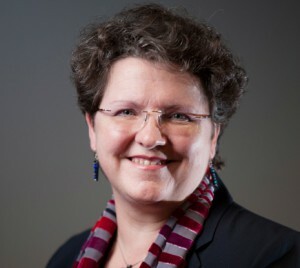 Sarah Neill is an Associate Professor in Children’s Nursing at the University of Northampton. Sarah is a nurse academic and researcher with over 20 years experience in higher education. Qualified as a Registered General Nurse, a Registered Sick Children’s Nurse, and a Registered Nurse Teacher, clinically her background is in children’s nursing where she worked in a range of hospital and community settings, within which she particularly enjoyed working with families at home. She is passionate about the need to understand the child and family’s experience of health, illness and care as the basis for the development of service improvements in collaboration with service users. Sarah’s belief in the power and importance of collaboration is reflected in her work running a parent panel for the ASK SNIFF research programme since the beginning of the first project. The ASK SNIFF programme developed from an initial collaboration between Sarah and Monica bringing together Sarah’s research into parents’ management of acute childhood illness at home and Monica’s experience of leading the development of the Spotting the Sick Child resource for healthcare professionals. Together they recognised the need for a similar resource to be developed with, and for, parents with acutely sick children. Sarah now co-leads the ASK SNIFF programme with Professor Monica Lakhanpaul. Sarah’s research includes commissioned and funded child health projects including the ASK SNIFF projects, family assessment of the need for early intervention and parents’ choice of health service for an acutely ill child. Methodologically Sarah’s expertise lies predominantly in qualitative research and within that Glaserian grounded theory. She contributes to master’s and doctoral level education programmes through teaching and research supervision. Sarah has published in peer reviewed journals & edited texts, been invited to present nationally and internationally; she contributes to editorial boards of international journals and is a member of national groups including National Institute for Health and Clinical Excellence (NICE) Evidence Review Group and Evidence Resources Reference Panel and Royal College of Nursing’s Children and Young People’s Acute Care Forum Steering Group.